We are taught that all problems are solvable by medications. Thereby, whenever something is causing pain or any discomfort whatsoever, the only thing you need to do is run to the nearest drugstore and get your rescue dose of medications. Even though these may be helpful under certain circumstances, many types of medications are obsolete and the pharmacological industry seems to be investing more money on advertising old than on discovering new, more effective drugs. On the other hand, psychotherapy and nutrition have made significant advancements and offer numerous ways of treatment which are more effective than traditional ones. The functioning of any kind of psychiatric drugs is still a matter of mystery. 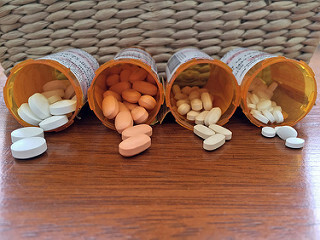 Namely, antidepressants and similar medications work in yet unexplainable ways and, while some might feel much better upon taking these medications, others may feel much worse. Thus, incredible recoveries and suicides, both were common scenarios of psychiatric drug users around the world. However, there is an alternative way of treating health problems, being much better and more effective. Depressed people and people with other psychiatric problems should stop and think about alternative methods of treatment for their health problems before opting for whatever their doctors serve. First of all, you should know that in more than 20 clinical trials, a natural herb called St. John's Wort has been found to be more than effective than many other antidepressant drugs. Additionally, this herb has no dangerous side effects, compared to drugs which are notorious for triggering for more than a few. Additionally, if you are interested in finding other healthy alternatives, see Leslie Kenton's book, called “Healing Herbs”. Also, blue-green algae is well-known for its power of elevating one's mood, along with numerous other benefits it has. Find more information about this herb in Miracle Superfood: Blue-Green Algae, a book dedicated to directing people towards these, healthy alternatives. All in all, nutrition is better than medications and all health issues should be addressed through this natural perspective. Nature, our long neglected friend, has helped us throughout history, treating various sores and health problems we might have. Also, once you look at it, it makes far more sense to be healed by something similar to you, than by something synthetic. That being said, we should return to our mother nature and seek answers there, motivating the pharmaceutic industry towards a change of the attitudes, leading to a future of better and more effective drugs. What Are The Acceptable Methods For Boosting Brain Power?